More Disney-themed nail art - and this is one of my better ones! Lani from Lani Loves and I are collaborating for today's blog post; I'm doing Enchanted nail art, and she's doing Enchanted make up, which you can see here and at the bottom of this post. Here are mine! The left hand was inspired by this picture and the right hand, this one. I'm pretty proud of how they turned out, especially the right hand. I had to paint it with my non-dominant hand which is always a bit trickier, but somehow it all pulled together nicely ☺. And as you can see, the thumbs line up to make the word "Enchanted" - I normally squeeze the title on to one nail but this one was a little too long! I started challenging myself with intricate Disney designs a year or so ago, and this is number six. You can see my previous Disney themed nail art below. By the way, apologies for the a) shiny oiled fingers b) average photos and c) weird, inconsistent watermarking. I'm working on it. Slowly... I wish I enjoyed web design as much as I enjoy nail art! 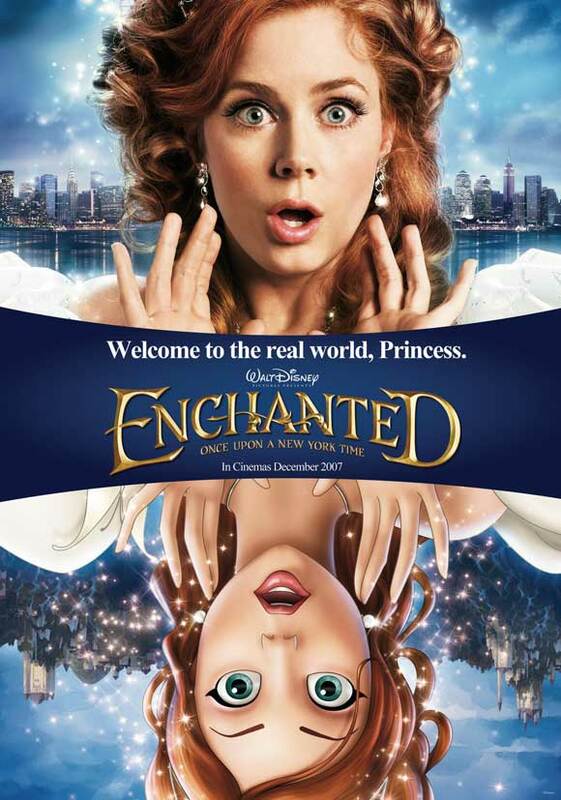 Now, if you haven't seen the movie Enchanted, you absolutely have to. It's way different than your standard Disney movie, in so many ways. It's both animated and real-life, it's filled with satire, post-modernism, feminist undertones... and hilarity. I actually wrote an essay analysing it when I was at University! Here's a close-up view of the hands separately. 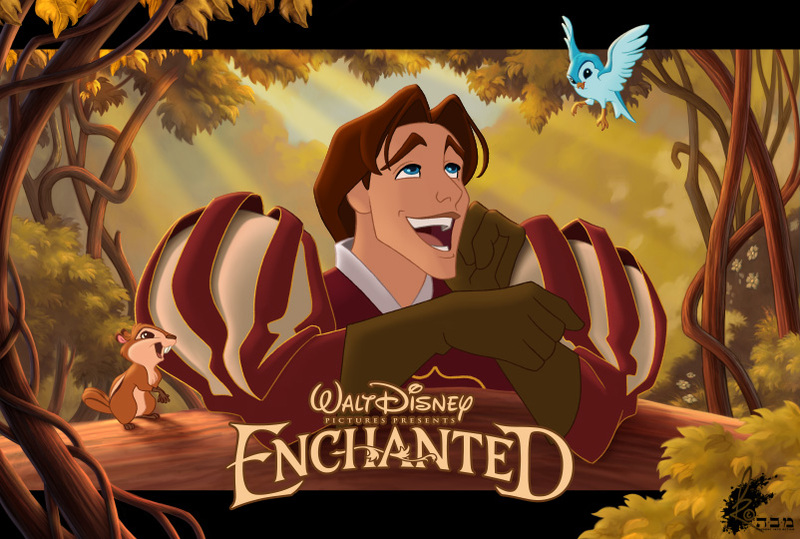 On this one we have Prince Edward, the most cliché Disney prince to ever enter the cinemas (you've really got to see the movie to understand!). I painted the animated version of him on, but in the rest of the movie he's portrayed by the gorgeous James Marsden, who I just adore! Such a flexible actor, I've seen him in so many wildly contrasting roles. On the right hand I painted Giselle, who gets lost in modern day New York at the beginning of the film. It's so funny watching the classic Disney Princess (played by beautiful Amy Adams) trying to function in modern-day society! I'm sure some of you are wondering how long this took; it was about three hours. I was pretty happy with that time, to be honest. As I didn't film this one (as I did with Frozen) I found it a lot less frustrating to do... when you're filming you have to twist your hands around to all kinds of unnatural angles and you never get as good of a result! I made a bit of a mess. I won't list all the polishes I used, as you can see there were a LOT. And I mixed many of them together anyway. That's it from me! 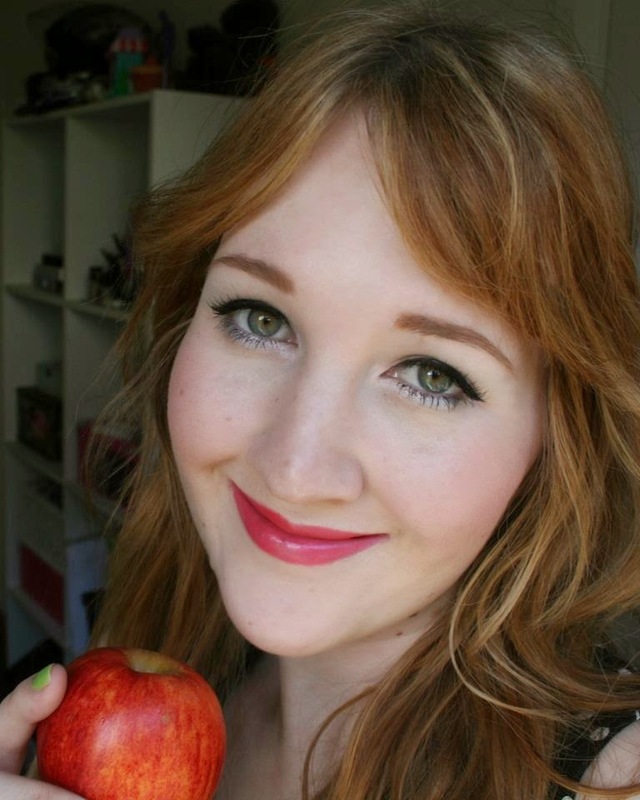 Don't forget to head over to Lani Loves and check out her Enchanted-themed make up. She also has the CUTEST babies and I'm so clucky every time I see them! Also, according to her little boy, we're the same person - he watches my YouTube tutorials and thinks I'm his mum ☺. I do see the resemblance! These look amazing! What detail.